Nathaniel Sherringham has returned to Hawcombe Prior a changed man. Gone is the reckless rake who went out on a limb to propose to Diana Makepiece three years ago. Now Nate’s mysterious new wealth has the town’s rumor mill spinning. To stir things up (and get Diana’s attention), Nate boldly announces his plans to marry “any suitable girl” under the age of 25. Diana, now 27 and still single, is acutely aware of Nate’s return. When her mother suggests a trip to visit a cousin in Bath, Diana leaps at the chance to escape the heartbreak and regret she can’t help but feel in Nate’s presence…and avoid his irritating charade to find a bride. But for Nate, Diana has always been the one. He might just have to follow her to Bath and once again lay his heart on the line to win her attention—and her heart. 5. 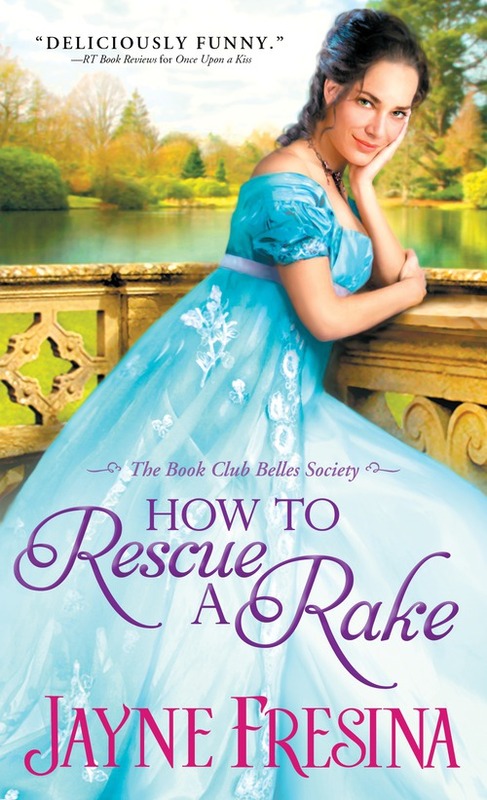 Naughty Rakes need love too. 4. There is never a dull moment with a Rake. The challenge is irresistible. 3. We all love to hunt for that one thing that seems...unattainable. And everybody knows a bad boy's heart is inaccessible. 2. He will undoubtedly have experience, charm, vitality and, if he's a self-professed Rake, he surely has a sense of humor. 1. When a Rake finally falls in love, he falls just as recklessly, wickedly and thoroughly as he does everything. Jayne Fresina sprouted up in England. Entertained by her father’s colorful tales of growing up in the countryside, and surrounded by opinionated sisters, she’s always had inspiration for her beleaguered heroes and unstoppable heroines. She lives in upstate New York. Learn more about the author at www.jaynefresinaromanceauthor.blogspot.com.